Brian Mulroney Vs Stephen Harper? Mulroney is starting to look pretty good in comparison. Brian Mulroney Vs Stephen Harper? Mulroney is starting to look pretty good in comparison. KASHIF SAYED - October 19th 2006. Let me preface what I am about to say with the following: I have been a lifelong political tennis ball, bouncing back and forth between the party of my heart, the NDP, and the party of my head, the Liberals. I have never been inclined to vote Conservative. Lately, though, I have to say that Stephen Harper has achieved something truly incredible: He has made me nostalgic for Brian Mulroney, a man I once detested. Noted Canadian historian J.L. Granatstein once remarked that Mulroney "was seen as a Gucci-shod glad-hander in bed with the Yankees, the man who failed so dismally in his constitutional gambits and left office so hated by the Canadian public that it promptly destroyed his party." Harper has me longing for the good ol' days. 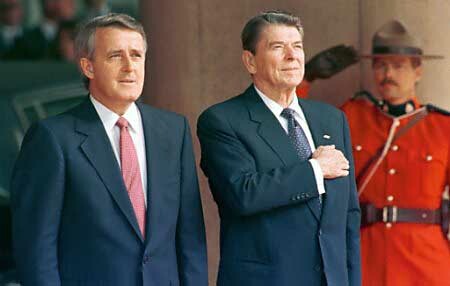 Mulroney, the previous Conservative prime minister, governed for two terms from 1984-1993. 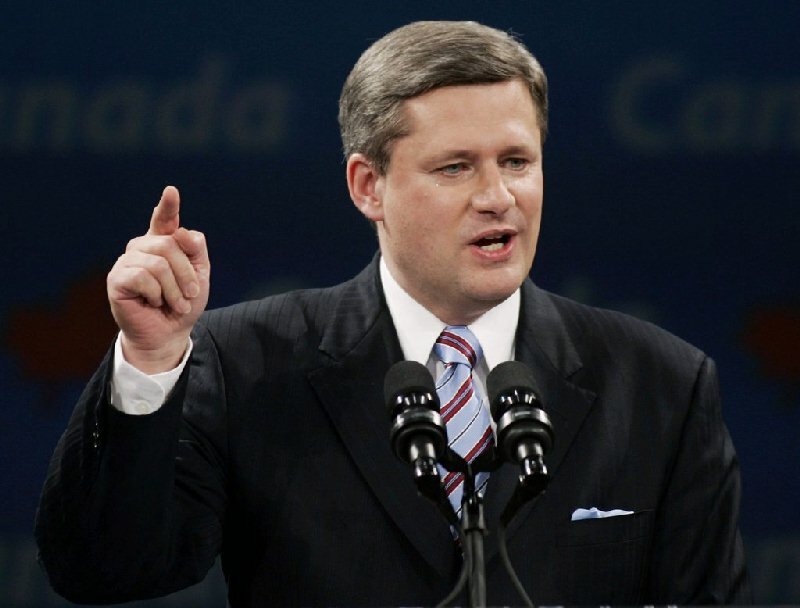 His "bleeding heart" social policies (he opposed capital punishment and tolerated abortion) led to the creation of the Reform party, which evolved into the Canadian Alliance and eventually took over the Progressive Conservatives to become the Conservative party we know today. Mulroney's legacy is a complicated one filled with victories and defeats. He battled both the NDP and Liberals on the issue of free trade in 1988, taking advantage of a divided opposition to score an overwhelming electoral victory. He is the man who introduced the much-hated GST, which most admit helped his Liberal successors balance the books in the 1990s. With the Meech Lake and Charlottetown accords, he twice attempted — and failed — to amend the Constitution to give greater powers to the provinces and recognize Quebec as a "distinct society." By the time he left federal politics in June of 1993, the Progressive Conservatives were 2 1/2 months away from an electoral disaster that saw the party reduced to two seats in Parliament. Mulroney still places the blame for that defeat at the doorstep of his successor, Kim Campbell. More recently, tapes were released last year that caught Mulroney using vulgar language to describe political opponents including John Turner, Pierre Trudeau and Clyde Wells. The tapes, revealed by author Peter C. Newman, portrayed a prime minister who appeared to be vindictive, insecure and arrogant. This leads me to our current prime minister. In his nine months in office, Stephen Harper has made Brian Mulroney look like a statesman. Harper takes vindictive, insecure and arrogant to another level. As he deals with the national agenda, Harper picks on the weak and defenceless. His cuts to funding for groups that fight poverty and advocate social justice — such as the recent cutbacks to funding for literacy training — indicate that nothing is more important to his government than the bottom line. While in office, Mulroney ensured Canada's Mideast policy was balanced but Harper has had no problem using it as a wedge issue. Harper's "Green Plan" is being criticized by both the left and right as no plan at all, while Mulroney recently was voted the "greenest" prime minister of all time. While in office, Mulroney left name-calling and accusations to his phone calls with Newman but Harper takes every opportunity to make inflammatory statements that detract from genuine discourse. His latest unfounded accusation — that most of the Liberal leadership hopefuls have an anti-Israel bias — only serves to unify his opponents and discredit him. Mulroney won two consecutive majority governments, the second with the greatest margin in Canadian electoral history. Harper squeaked out a minority victory earlier this year even though he faced a tired, disorganized and scandal-plagued Liberal party. Despite their opponents' weakness, Harper's Conservatives could not deliver the kind of knockout blow that Mulroney did 18 years ago. 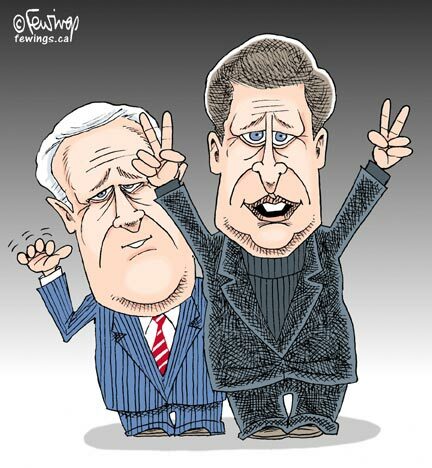 Harper's failures in nine months surpass Mulroney's failures in nine years. This is a tough admission for me to make but Harper's dismal performance makes me wax nostalgic about the past. Our current prime minister's divisive leadership makes Mulroney look golden.